There is no doubt that we have entered into the age of mobility. Mobile device ownership has skyrocketed in the last few years with global mobile phone adoption expected to be as high as 63.5% by the end of 2014 according to eMarketer.com. That means that a little more than 3 out of 5 people in the world will own a mobile device. More and more of these devices are “smart,” simply meaning that they have the ability to connect to the internet. By harnessing this power, people are using their mobile devices to do more than ever, from taking pictures, to playing games, paying for coffee, and even its original purpose; communication. 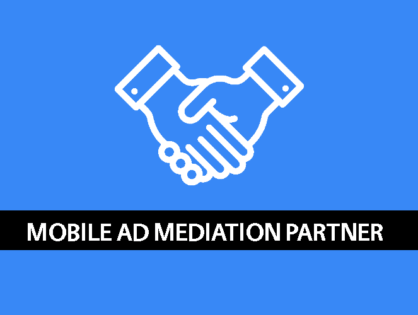 As mobile adoption continues to grow, more and more companies are trying to ensure that their brand is ‘mobile friendly’. Sometimes this is as simple as designing a responsive website that works for multiple devices to something more expensive like creating an app that users can download onto their mobile device. A survey of IT professionals conducted in 2013 by AnyPresence showed that over half the respondents reported spending more than 3 months and over $50,000 developing an app with more complex apps coming in at a cost of between $100,000 to $500,000. This is certainly not chump change. Despite the high cost, many brands understand the opportunity that mobile gives them to reach their target audience and are currently busy figuring out how to best invest their money in order to get their brand in the hands of the mobile user. iOS is a closed platform. What this means is that Apple has total control over it’s devices and software. They design all their own hardware and software which allows them to use strict guidelines for how they interact with each other. This is great for developers because there are a limited number of devices that support iOS and even when Apple comes out with a new device, their design is not that different from their previous versions of their hardware. Today there are only 20 different types of Apple mobile devices. The device fragmentation for Android is much worse, as you can see from the picture above taken from Gizmodo. There are hundreds of devices that use Android. Apple has also made it very easy for users to get the latest operating system (OS) for their device. This means that the the adoption rate for the latest OS (46.3%) is much higher than the latest Android OS, Kit Kat. (20.9%). In fact, if iOS developers only worry about making their app features compatible with the 3 latest OS versions, they will be able to cover 97% of all iOS users. Android’s operating system on the other hand is much more fragmented. Concentrating on the 3 most used OS’s on Android would mean that the app would only be compatible with 67.6% of the Android market. The huge amount of android devices and operating systems that are in the market can significantly increase development costs because the app will have to be optimized for many different screen sizes and OS’s. This will also increase QA costs to test your app on all the different devices to make sure it is working properly. 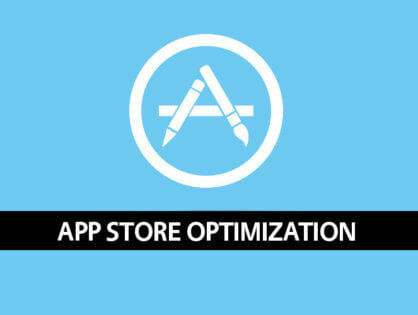 Therefore, an iOS app is cheaper to develop due to the low amount of art resizing and testing costs. iTunes, Apple software which is used to buy and download music for the iPod was created by Apple in 2000. In 2008, the App Store was added to iTunes which allowed users to buy and download apps for their Apple mobile devices. Apple used the experience it gained from curating iTunes to create an App Store that was very user friendly. Apps are organized into categories and ranked using a complex algorithm which incorporates total downloads, recent download volumes, and possibly active users. In addition, they created a star rating and review system which influences users to download apps with great ratings and reviews. Apps for the iOS platform can only be downloaded from the iTunes App Store and if the app is good, it will benefit from the App Store ranking system which will allow it to be seen by a large amount of people, especially if it is ranked in the Top 10 of it’s category or in the Top 200 overall. Android apps can be downloaded from a number of different stores such as Google Play, the Amazon App Store, or any number of independent app stores. Having multiple places to download Android apps can be great for the consumer because they have a choice but it also creates inconsistency between rankings and reviews, the number one thing customers look at when they go to download an app. This inconsistency can cause the app to not be ranked as high in Google Play which might affect download numbers. Overall, the iTunes App Store gives the iOS app developer better visibility when compared to its main Android store competitor, Google Play. iOS devices are generally more expensive and therefore they attract people that are willing to spend more money, which translates to them spending more to purchase apps and make in-app purchases. iOS doesn’t have a lot of market share in developing countries. This is where Android thrives with cheaper devices, however most of the people in these countries do not have access to credit cards and Android has been slow to adopt carrier billing which means users aren’t able to purchase apps. It is also important to note that Apple forces users to put in their credit card information and Android users have the option. Since iOS is a closed system it is harder to pirate apps on iOS which is common practice on the Android platform causing a negative effect on revenue. When people are stealing the apps and not paying for them, revenue suffers. For these reasons iOS developers are making 60% more money from their apps in general on the iOS platform than they are from Android. Brands are racing to jump on the mobile bandwagon so that they can capture a tech savvy and engaged target market. 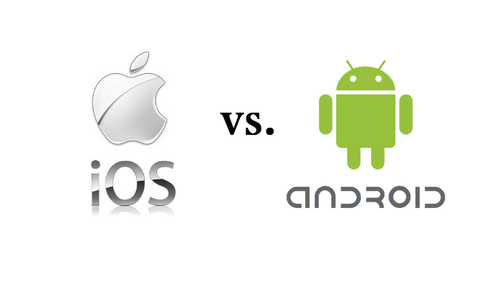 When it comes to building apps to reach this market, all brands should build apps for both iOS and Android. However, when faced with the question “do we build our app for the iOS or Android platform first?,” it is clear that for now the answer is iOS due to decreased fragmentation, increased visibility, and higher revenues. However, Android is addressing a lot of these issues and I wouldn’t be surprised if both platforms were on parity in the near future.